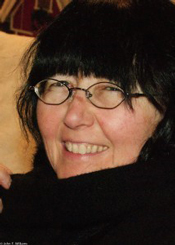 Karen Perry, until her untimely death in 2012, was a cherished Bainbridge Island poet, photographer, and filmmaker. She organized the San Carlos Poetry Reading for over two decades and served as literary editor for Exhibition, Bainbridge Island's Journal of Visual and Literary Arts. Her films were a regular part of Celluloid Bainbridge in addition to being shown at other film festivals in the U.S. and Europe. 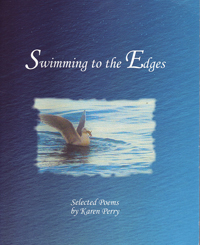 Perry's chapterbook Swimming to the Edges (2012) offers a collection of her poems.